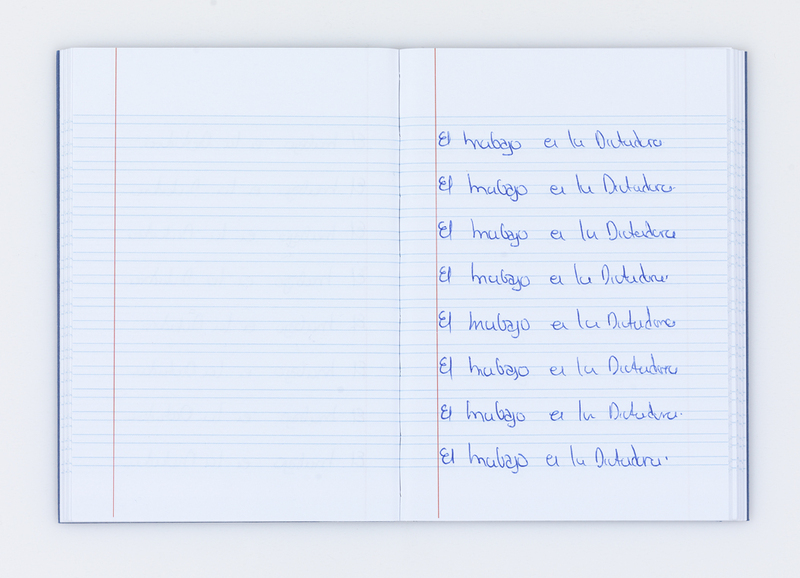 This title of the LiberArs series, by conceptual Spanish artist Santiago Sierra, is the materialisation of a performance proposed by the author which consists in making 30 workers, hired for the minimum wage recommended by the National Employment Service., to fill out one thousand copies of a blank notebook, repeating the phrase ‘El trabajo es la Dictadura‘ (‘Work is a Dictatorship‘) over and over again. 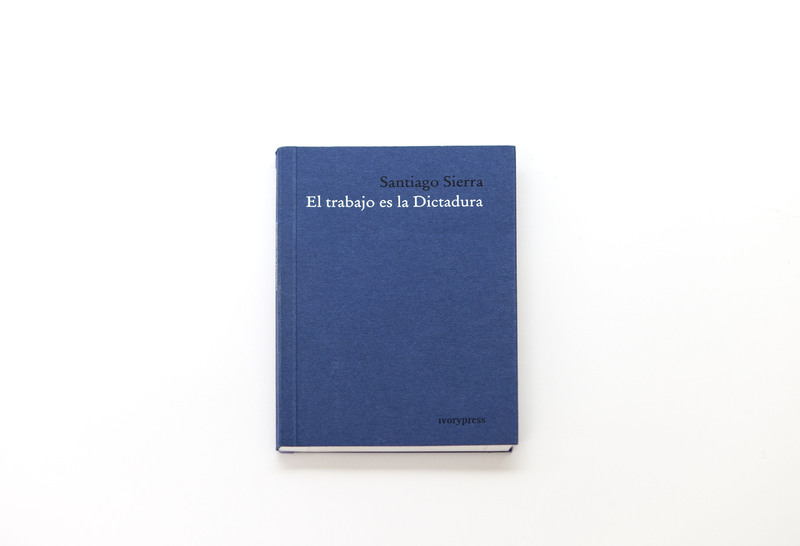 The performance took place at Ivorypress Space, Madrid, from 22 to 30 January 2013. Each one of these handwritten copies is fraught with social and political critique. The proposal falls in line with others carried out by Sierra in the past, such as 20 workers in a ship’s hold, 2001 or Hiring and ordering of 30 workers according to the colour of their skin, 2002.